Saw this car at Audi Wilmington a few days ago. The Daytona matte is frickin awesome. Go Wilmington Go! My hometown. I'm in Florida now but the service dept. there seems to have a positive vibe. Hi all: new forum member with my first post. 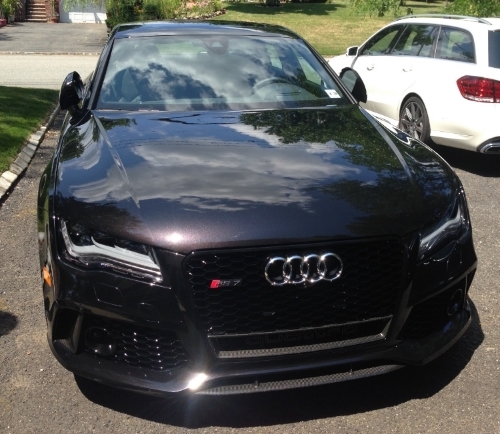 I upgraded from a 2003 RS6 to this beast. It was the last one in the city. Daytona Grey with aluminum optics pack, B&O stereo, comfort seats and sport exhaust. As much as I loved the RS6, this kicks the keister off of it! Here's some pics of the two cars. Someone is going to be very happy with my old RS6; it only had 31000km on it! These are a few shots that highlight the color well! the dealership in duluth i spoke to before getting my car was so full of something that starts with S and ends with hit that i don't trust a thing they say. But perhaps you have a better experience with them. 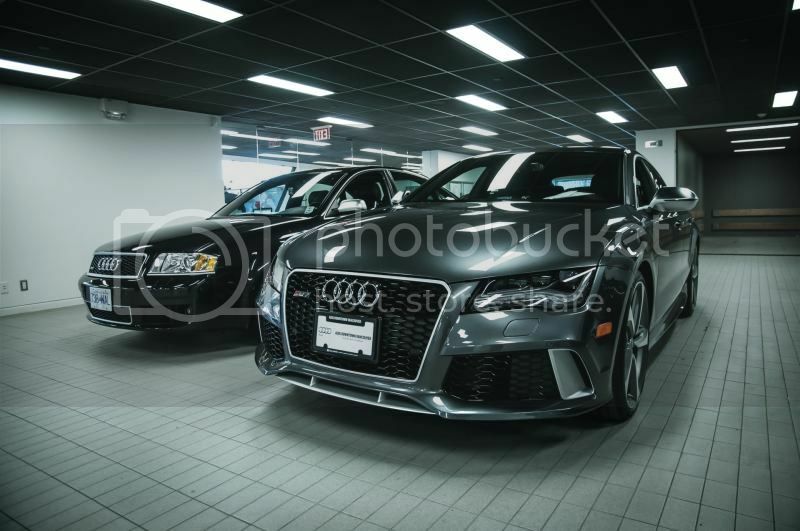 I checked with my dealer in Chicago and they said that they too had heard the number 1500/year; same for the RS6 (though sadly, none for us Americans...). 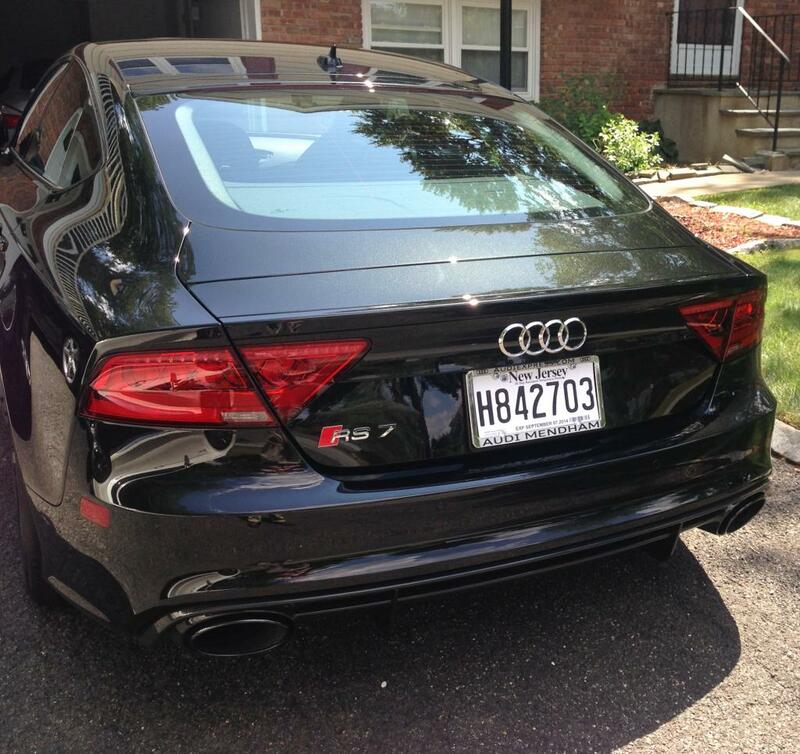 New RS7 Owner :) !! only 317 torque in the rs5? How long from date of production to port? 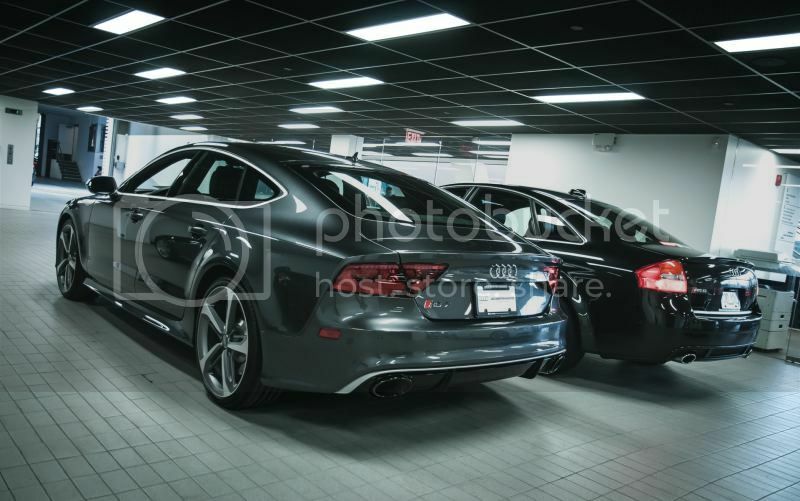 Quick Reply: How many RS7s?